Ferdinand was born in Alcalá de Henares, Spain, the son of Queen Joanna I of Castile from the House of Trastámara (herself the daughter of the Catholic Monarchs Isabel I of Castile and Ferdinand of Aragon) and Habsburg Archduke Philip the Handsome, who was heir to Maximilian I, Holy Roman Emperor. Ferdinand shared his customs, culture, and even his birthday with his maternal grandfather Ferdinand II of Aragon. He was born, raised, and educated in Spain, and did not learn German when he was young. In the summer of 1518 Ferdinand was sent to Flanders following his brother Charles's arrival in Spain as newly appointed King Charles I the previous autumn. Ferdinand returned in command of his brother's fleet but en route was blown off-course and spent four days in Kinsale in Ireland before reaching his destination. With the death of his grandfather Maximilian I and the accession of his now 19-year-old brother, Charles V, to title of Holy Roman Emperor in 1519, Ferdinand was entrusted with the government of the Austrian hereditary lands, roughly modern-day Austria and Slovenia. 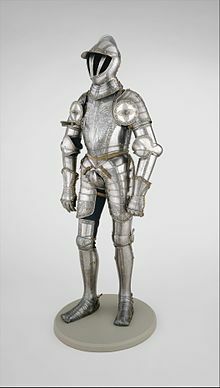 He was Archduke of Austria from 1521 to 1564. Though he supported his brother, Ferdinand also managed to strengthen his own realm. By adopting the German language and culture late in his life, he also grew close to the German territorial princes. After the death of his brother-in-law Louis II, Ferdinand ruled as King of Bohemia and Hungary (1526–1564). Ferdinand also served as his brother's deputy in the Holy Roman Empire during his brother's many absences, and in 1531 was elected King of the Romans, making him Charles's designated heir in the empire. Charles abdicated in 1556 and Ferdinand adopted the title "Emperor elect" in 1558, while Spain, the Spanish Empire, Naples, Sicily, Milan, the Netherlands, and Franche-Comté went to Philip, son of Charles. According to the terms set at the First Congress of Vienna in 1515, Ferdinand married Anne Jagiellonica, daughter of King Vladislaus II of Bohemia and Hungary on 22 July 1515. Both Hungary and Bohemia were elective monarchies, where the parliaments had the sovereign right to decide about the person of the king. Therefore, after the death of his brother-in-law Louis II, King of Bohemia and of Hungary, at the battle of Mohács on 29 August 1526, Ferdinand immediately applied to the parliaments of Hungary and Bohemia to participate as a candidate in the king elections. On 24 October 1526 the Bohemian Diet, acting under the influence of chancellor Adam of Hradce, elected Ferdinand King of Bohemia under conditions of confirming traditional privileges of the estates and also moving the Habsburg court to Prague. The success was only partial, as the Diet refused to recognise Ferdinand as hereditary lord of the Kingdom. 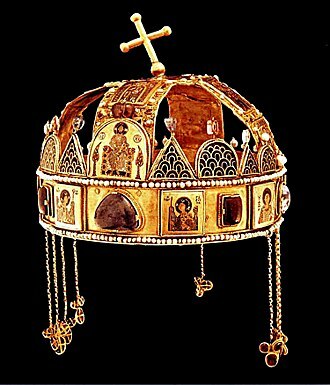 The throne of Hungary became the subject of a dynastic dispute between Ferdinand and John Zápolya, Voivode of Transylvania. 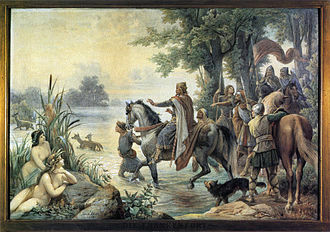 They were supported by different factions of the nobility in the Hungarian kingdom. 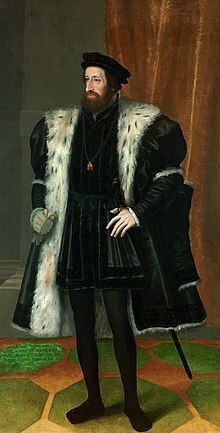 Ferdinand also had the support of his brother, the Emperor Charles V.
On 10 November 1526, John Zápolya was proclaimed king by a Diet at Székesfehérvár, John Zápolya was elected in the parliament by the untitled lesser nobility (gentry). Nicolaus Olahus, secretary of Louis, attached himself to the party of Ferdinand but retained his position with his sister, Queen Dowager Mary. Ferdinand was also elected King of Hungary, Dalmatia, Croatia, Slavonia etc. by the higher aristocracy (the magnates or barons) and the Hungarian Catholic clergy in a rump Diet in Pozsony on 17 December 1526. Ferdinand was crowned as King of Hungary in the Székesfehérvár Basilica on 3 November 1527. The Croatian nobles unanimously accepted the Pozsony election of Ferdinand I, receiving him as their king in the 1527 election in Cetin, and confirming the succession to him and his heirs. In return for the throne, Archduke Ferdinand promised to respect the historic rights, freedoms, laws and customs of the Croats when they united with the Hungarian kingdom and to defend Croatia from Ottoman invasion. The Austrian lands were in miserable economic and financial conditions, thus Ferdinand desperately introduced the so-called Turkish Tax (Türken Steuer). In spite of the huge Austrian sacrifices, he was not able to collect enough money to pay for the expenses of the defence costs of Austrian lands. His annual revenues only allowed him to hire 5,000 mercenaries for two months, thus Ferdinand asked for help from his brother, Emperor Charles V, and started to borrow money from rich bankers like the Fugger family. Ferdinand defeated Zápolya at the Battle of Tarcal in September 1527 and again in the Battle of Szina in March 1528. Zápolya fled the country and applied to Sultan Suleiman the Magnificent for support, making Hungary an Ottoman vassal state. This led to the most dangerous moment of Ferdinand's career, in 1529, when Suleiman took advantage of this Hungarian support for a massive but ultimately unsuccessful assault on Ferdinand's capital: the Siege of Vienna, which sent Ferdinand to refuge in Bohemia. A further Ottoman invasion was repelled in 1532 (see Siege of Güns). In that year Ferdinand made peace with the Ottomans, splitting Hungary into a Habsburg sector in the west and John Zápolya's domain in the east, the latter effectively a vassal state of the Ottoman Empire. Together with the formation of the Schmalkaldic League in 1531, this struggle with the Ottomans caused Ferdinand to grant the Nuremberg Religious Peace. As long as he hoped for a favorable response from his humiliating overtures to Suleiman, Ferdinand was not inclined to grant the peace which the Protestants demanded at the Diet of Regensburg which met in April 1532. But as the army of Suleiman drew nearer he yielded and on July 23, 1532 the peace was concluded at Nuremberg where the final deliberations took place. 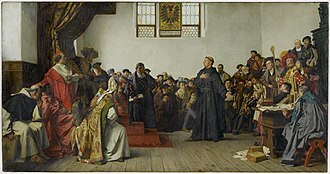 Those who had up to this time joined the Reformation obtained religious liberty until the meeting of a council and in a separate compact all proceedings in matters of religion pending before the imperial chamber court were temporarily paused. 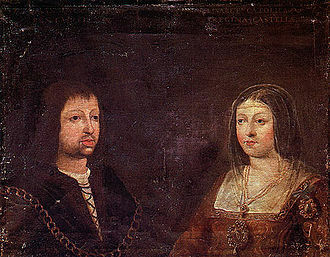 In 1538, in the Treaty of Nagyvárad, Ferdinand induced the childless Zápolya to name him as his successor. But in 1540, just before his death, Zápolya had a son, John II Sigismund, who was promptly elected King by the Diet. Ferdinand invaded Hungary, but the regent, Frater George Martinuzzi, Bishop of Várad, called on the Ottomans for protection. 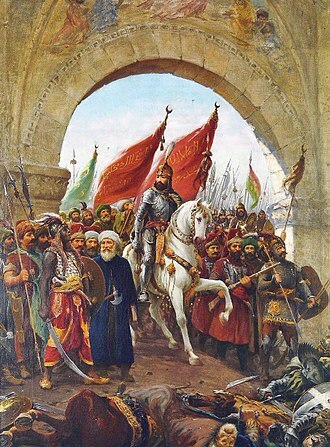 Suleiman marched into Hungary (see Siege of Buda (1541)) and not only drove Ferdinand out of central Hungary, he forced Ferdinand to agree to pay tribute for his lands in western Hungary. John II Sigismund was also supported by King Sigismund I of Poland, his mother's father, but in 1543 Sigismund made a treaty with the Habsburgs and Poland became neutral. Prince Sigismund Augustus married Elisabeth of Austria, Ferdinand's daughter. Suleiman had allocated Transylvania and eastern Royal Hungary to John II Sigismund, which became the "Eastern Hungarian Kingdom", reigned over by his mother, Isabella Jagiełło, with Martinuzzi as the real power. But Isabella's hostile intrigues and threats from the Ottomans led Martinuzzi to switch round. In 1549, he agreed to support Ferdinand's claim, and Imperial armies marched into Transylvania. In the Treaty of Weissenburg (1551), Isabella agreed on behalf of John II Sigismund to abdicate as King of Hungary and to hand over the royal crown and regalia. Thus Royal Hungary and Transylvania went to Ferdinand, who agreed to recognise John II Sigismund as vassal Prince of Transylvania and betrothed one of his daughters to him. Meanwhile, Martinuzzi attempted to keep the Ottomans happy even after they responded by sending troops. Ferdinand's general Castaldo suspected Martinuzzi of treason and with Ferdinand's approval had him killed. Since Martinuzzi was by this time an archbishop and Cardinal, this was a shocking act, and Pope Julius III excommunicated Castaldo and Ferdinand. Ferdinand sent the Pope a long accusation of treason against Martinuzzi in 87 articles, supported by 116 witnesses. The Pope exonerated Ferdinand and lifted the excommunications in 1555. The war in Hungary continued. Ferdinand was unable to keep the Ottomans out of Hungary. In 1554, Ferdinand sent Ogier Ghiselin de Busbecq to Constantinople to discuss a border treaty with Suleiman, but he could achieve nothing. In 1556 the Diet returned John II Sigismund to the eastern Hungarian throne, where he remained until 1570. De Busbecq returned to Constantinople in 1556, and succeeded on his second try. The Austrian branch of Habsburg monarchs needed the economic power of Hungary for the Ottoman wars. During the Ottoman wars the territory of the former Kingdom of Hungary shrunk by around 70%. Despite these enormous territorial and demographic losses, the smaller, heavily war-torn Royal Hungary had remained economically more important than Austria or Kingdom of Bohemia even at the end of the 16th century. Out of all his countries, the depleted Kingdom of Hungary was, at that time, Ferdinand’s largest source of revenue. When he took control of the Bohemian lands in the 1520s, their religious situation was complex. Its German population was composed of Catholics and Lutherans. 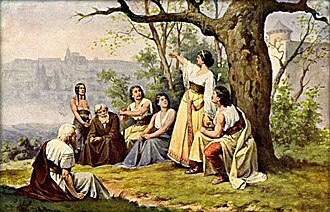 Some Czechs were receptive to Lutheranism, but most of them adhered to Utraquist Hussitism, while a minority of them adhered to Roman Catholicism. A significant number of Utraquists favoured an alliance with the Protestants. At first, Ferdinand accepted this situation and he gave considerable freedom to the Bohemian estates. In the 1540s, the situation changed. In Germany, while most Protestant princes had hitherto favored negotiation with the Emperor and while many had supported him in his wars, they became increasingly confrontational during this decade. Some of them even went to war against the Empire, and many Bohemian (German or Czech) Protestants or Utraquists sympathized with them. Ferdinand and his son Maximilian participated in the victorious campaign of Charles V against the German Protestants in 1547. The same year, he also defeated a Protestant revolt in Bohemia, where the estates and a large part of the nobility had denied him support in the German campaign. This allowed him to increase his power in this realm. He centralized his administration, revoked many urban privileges and confiscated properties. Ferdinand also sought to strengthen the position of the Catholic church in the Bohemian lands, and favoured the installation of the Jesuits there. In the 1550s, Ferdinand managed to win some key victories on the imperial scene. Unlike his brother, he opposed Albrecht of Brandenburg-Kulmbach and participated in his defeat. This defeat, along with his German ways, made Ferdinand more popular than the Emperor among Protestant princes. 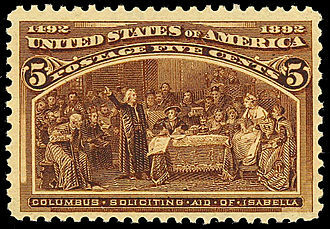 This allowed him to play a critical role in the settlement of the religious issue in the Empire. The principle of cuius regio, eius religio ("Whose realm, his religion") provided for internal religious unity within a state: the religion of the prince became the religion of the state and all its inhabitants. Those inhabitants who could not conform to the prince's religion were allowed to leave, an innovative idea in the sixteenth century. This principle was discussed at length by the various delegates, who finally reached agreement on the specifics of its wording after examining the problem and the proposed solution from every possible angle. The second principle, called the reservatum ecclesiasticum (ecclesiastical reservation), covered the special status of the ecclesiastical state. If the prelate of an ecclesiastic state changed his religion, the men and women living in that state did not have to do so. Instead, the prelate was expected to resign from his post, although this was not spelled out in the agreement. The third principle, known as Declaratio Ferdinandei (Ferdinand's Declaration), exempted knights and some of the cities from the requirement of religious uniformity, if the reformed religion had been practised there since the mid-1520s, allowing for a few mixed cities and towns where Catholics and Lutherans had lived together. It also protected the authority of the princely families, the knights and some of the cities to determine what religious uniformity meant in their territories. Ferdinand inserted this at the last minute, on his own authority. 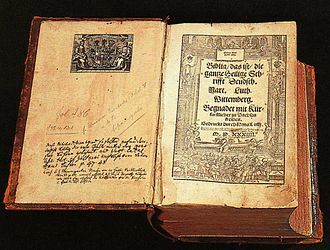 After 1555, the Peace of Augsburg became the legitimating legal document governing the co-existence of the Lutheran and Catholic faiths in the German lands of the Holy Roman Empire, and it served to ameliorate many of the tensions between followers of the "Old Faith" (Catholicism) and the followers of Luther, but it had two fundamental flaws. 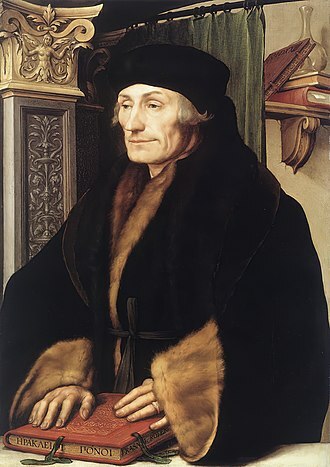 First, Ferdinand had rushed the article on reservatum ecclesiasticum through the debate; it had not undergone the scrutiny and discussion that attended the widespread acceptance and support of cuius regio, eius religio. Consequently, its wording did not cover all, or even most, potential legal scenarios. The Declaratio Ferdinandei was not debated in plenary session at all; using his authority to "act and settle," Ferdinand had added it at the last minute, responding to lobbying by princely families and knights. While these specific failings came back to haunt the Empire in subsequent decades, perhaps the greatest weakness of the Peace of Augsburg was its failure to take into account the growing diversity of religious expression emerging in the so-called evangelical and reformed traditions. Other confessions had acquired popular, if not legal, legitimacy in the intervening decades and by 1555, the reforms proposed by Luther were no longer the only possibilities of religious expression: Anabaptists, such as the Frisian Menno Simons (1492–1559) and his followers; the followers of John Calvin, who were particularly strong in the southwest and the northwest; and the followers of Huldrych Zwingli were excluded from considerations and protections under the Peace of Augsburg. According to the Augsburg agreement, their religious beliefs remained heretical. In 1556, amid great pomp, and leaning on the shoulder of one of his favourites (the 24-year-old William, Count of Nassau and Orange), Charles gave away his lands and his offices. 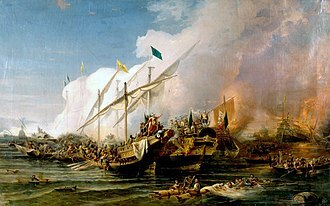 The Spanish empire, which included Spain, the Netherlands, Naples, Milan and Spain's possessions in the Americas, went to his son, Philip. His brother, Ferdinand, who had negotiated the treaty in the previous year, was already in possession of the Austrian lands and was also to succeed Charles as Holy Roman Emperor. This course of events had been guaranteed already on 5 January 1531 when Ferdinand had been elected the King of the Romans and so the legitimate successor of the reigning Emperor. Charles's choices were appropriate. 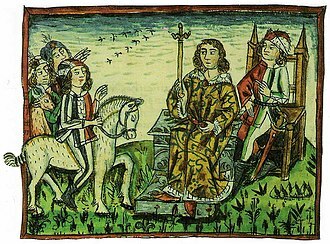 Philip was culturally Spanish: he was born in Valladolid and raised in the Spanish court, his native tongue was Spanish, and he preferred to live in Spain. Ferdinand was familiar with, and to, the other princes of the Holy Roman Empire. Although he too had been born in Spain, he had administered his brother's affairs in the Empire since 1531. Some historians maintain Ferdinand had also been touched by the reformed philosophies, and was probably the closest the Holy Roman Empire ever came to a Protestant emperor; he remained nominally a Catholic throughout his life, although reportedly he refused last rites on his deathbed. Other historians maintain he was as Catholic as his brother, but tended to see religion as outside the political sphere. 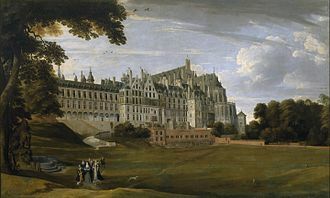 Charles' abdication had far-reaching consequences in imperial diplomatic relations with France and the Netherlands, particularly in his allotment of the Spanish kingdom to Philip. In France, the kings and their ministers grew increasingly uneasy about Habsburg encirclement and sought allies against Habsburg hegemony from among the border German territories, and even from some of the Protestant kings. In the Netherlands, Philip's ascension in Spain raised particular problems; for the sake of harmony, order, and prosperity Charles had not blocked the Reformation, and had tolerated a high level of local autonomy. An ardent Catholic and rigidly autocratic prince, Philip pursued an aggressive political, economic and religious policy toward the Dutch, resulting in a Dutch rebellion shortly after he became king. Philip's militant response meant the occupation of much of the upper provinces by troops of, or hired by, Habsburg Spain and the constant ebb and flow of Spanish men and provisions on the so-called Spanish road from northern Italy, through the Burgundian lands, to and from Flanders. The abdication did not automatically make Ferdinand the Holy Roman Emperor. Charles abdicated as Emperor in January 1556 in favour of his brother Ferdinand; however, due to lengthy debate and bureaucratic procedure, the Imperial Diet did not accept the abdication (and thus make it legally valid) until 3 May 1558. Up to that date, Charles continued to use the title of Emperor. The western rump of Hungary over which Ferdinand retained dominion became known as Royal Hungary. As the ruler of Austria, Bohemia and Royal Hungary, Ferdinand adopted a policy of centralisation and, in common with other monarchs of the time, the construction of an absolute monarchy. In 1527, soon after ascending the throne, he published a constitution for his hereditary domains (Hofstaatsordnung) and established Austrian-style institutions in Pressburg for Hungary, in Prague for Bohemia, and in Breslau for Silesia. Opposition from the nobles in those realms forced him to concede the independence of these institutions from supervision by the Austrian government in Vienna in 1559. 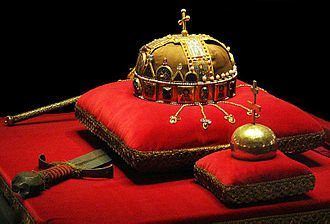 After the Ottoman invasion of Hungary the traditional Hungarian coronation city, Székesfehérvár came under Turkish occupation. Thus, in 1536 the Hungarian Diet decided that a new place for coronation of the king as well as a meeting place for the Diet itself would be set in Pressburg. 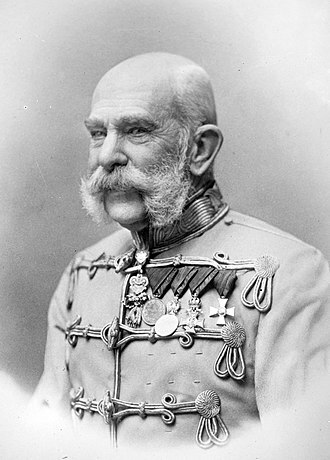 Ferdinand proposed that the Hungarian and Bohemian diets should convene and hold debates together with the Austrian estates, but all parties refused such an innovation. 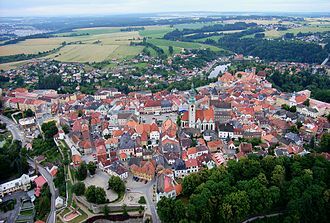 In 1547 the Bohemian Estates rebelled against Ferdinand after he had ordered the Bohemian army to move against the German Protestants. After suppressing the revolt, he retaliated by limiting the privileges of Bohemian cities and inserting a new bureaucracy of royal officials to control urban authorities. Ferdinand was a supporter of the Counter-Reformation and helped lead the Catholic response against what he saw as the heretical tide of Protestantism. For example, in 1551 he invited the Jesuits to Vienna and in 1556 to Prague. Finally, in 1561 Ferdinand revived the Archdiocese of Prague, which had been previously liquidated due to the success of the Protestants. Ferdinand died in Vienna and is buried in St. Vitus Cathedral in Prague. Ferdinand's legacy ultimately proved enduring. Though lacking resources, he managed to defend his land against the Ottomans with limited support from his brother, and even secured a part of Hungary that would later provide the basis for the conquest of the whole kingdom by the Habsburgs. In his own possessions, he built a tax system that, though imperfect, would continue to be used by his successors. His handling of the Protestant Reformation proved more flexible and more effective than that of his brother and he played a key part in the settlement of 1555, which started an era of peace in Germany. His statesmanship, overall, was cautious and effective, well-suited to a medium-sized collection of territories facing dangerous threats. On the other hand, when he engaged in more audacious endeavours, like his offensives against Buda and Pest, it often ended in failure. Ferdinand was also a patron of the arts. 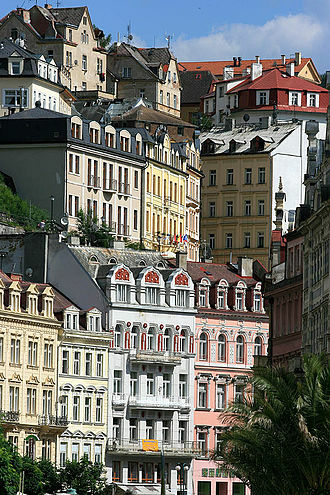 He embellished Vienna and Prague, and invited Italian architects to his realm. He also gathered some humanists, many of whom had a big influence on his son Maximilian. He was particularly fond of music and hunting. While not a supremely gifted commander, he was interested in military matters and participated in several campaigns during his reign. German, Czech, Slovenian, Slovak, Serbian, Croatian: Ferdinand I.; Hungarian: I. Ferdinánd; Spanish: Fernando I; Turkish: 1. Ferdinand; Polish: Ferdynand I.
Elisabeth 9 July 1526 15 June 1545 Married to the future King Sigismund II Augustus of Poland. Maximilian II, Holy Roman Emperor 31 July 1527 12 October 1576 Married to his first cousin Maria of Spain and had issue. Anna 7 July 1528 16/17 October 1590 Married to Albert V, Duke of Bavaria. Ferdinand II, Archduke of Austria 14 June 1529 24 January 1595 Married to Philippine Welser and then to his niece Anne Juliana Gonzaga. Maria 15 May 1531 11 December 1581 Married to Wilhelm, Duke of Jülich-Cleves-Berg. Magdalena 14 August 1532 10 September 1590 A nun. Catherine 15 September 1533 28 February 1572 Married to Duke Francesco III of Mantua and then to King Sigismund II Augustus of Poland. Eleanor 2 November 1534 5 August 1594 Married to William I, Duke of Mantua. Margaret 16 February 1536 12 March 1567 A nun. John 10 April 1538 20 March 1539 Died in childhood. Barbara 30 April 1539 19 September 1572 Married to Alfonso II, Duke of Ferrara and Modena. Charles II, Archduke of Austria 3 June 1540 10 July 1590 Father of Ferdinand II, Holy Roman Emperor. Helena 7 January 1543 5 March 1574 A nun. After ascending the Imperial Throne Ferdinand's full titulature, rarely used, went as follows: Ferdinand, by the grace of God elected Holy Roman Emperor, forever August, King in Germany, of Hungary, Bohemia, Dalmatia, Croatia, Slavonia, Rama, Serbia, Galicia, Lodomeria, Cumania and Bulgaria, etc. Prince-Infante in Spain, Archduke of Austria, Duke of Burgundy, Brabant, Styria, Carinthia, Carniola, Margrave of Moravia, Duke of Luxemburg, the Upper and Lower Silesia, Württemberg and Teck, Prince of Swabia, Princely Count of Habsburg, Tyrol, Ferrette, Kyburg, Gorizia, Landgrave of Alsace, Margrave of the Holy Roman Empire, Enns, Burgau, the Upper and Lower Lusatia, Lord of the Wendish March, Pordenone and Salins, etc. etc. Ferdinand I has been the main motif for many collector coins and medals, the most recent one is the Austrian silver 20-euro Renaissance coin issued on 12 June 2002. A portrait of Ferdinand I is shown in the reverse of the coin, while in the obverse a view of the Swiss Gate of the Hofburg Palace can be seen. ^ Ferdinand I, Holy Roman emperor. The Columbia Encyclopedia, Sixth Edition. 2001. ^ a b Rasmussen 2018, p. 65. ^ Martyn Rady (2014). The Emperor Charles V. Routledge. p. 47. ISBN 9781317880820. ^ R. W. Seton-Watson. The southern Slav question and the Habsburg Monarchy. p. 18. ^ Jean Berenger; C.A. Simpson (2014). A History of the Habsburg Empire 1273-1700. Routledge. p. 160. ISBN 9781317895701. ^ Imber, Colin (2002). The Ottoman Empire, 1300–1650: The Structure of Power. New York: Palgrave Macmillan. p. 53. ISBN 978-0-333-61386-3. ^ Robert Evans, Peter Wilson (2012). The Holy Roman Empire, 1495-1806: A European Perspective Volume 1 van Brill's Companions to European History. BRILL. p. 263. ISBN 9789004206830. ^ a b Holborn, p. 241. ^ a b Holborn, pp. 243–246. ^ Lisa Jardine, The Awful End of William the Silent: The First Assassination of a Head of State with A Handgun, London, HarperCollins, 2005, ISBN 0-00-719257-6, Chapter 1; Richard Bruce Wernham, The New Cambridge Modern History: The Counter Reformation and Price Revolution 1559–1610, (vol. 3), 1979, pp. 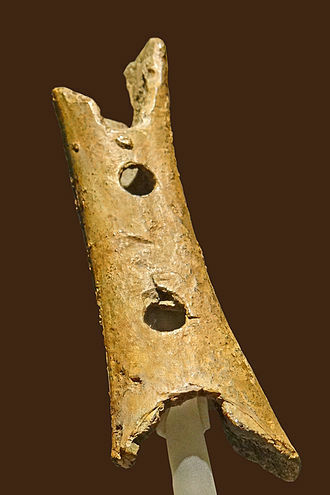 338–345. ^ Holborn, pp. 249–250; Wernham, pp. 338–345. ^ See Parker, pp. 20–50. ^ a b Stephens, Henry Morse (1903). The story of Portugal. G.P. Putnam's Sons. p. 139. Retrieved 11 July 2018. ^ a b Ortega Gato, Esteban (1999). "Los Enríquez, Almirantes de Castilla" (PDF). Publicaciones de la Institución "Tello Téllez de Meneses" (in Spanish). 70: 42. ISSN 0210-7317. ^ a b Chisholm, Hugh, ed. (1911). "John II. of Castile" . Encyclopædia Britannica. 15 (11th ed.). Cambridge University Press. ^ a b Downey, Kirstin (November 2015). Isabella: The Warrior Queen. Knopf Doubleday Publishing Group. p. 28. ISBN 9780307742162. Retrieved 2018-07-17. Rasmussen, Mikael Bogh (2018). "Vienna, a Habsburg capital redocorated in classical style: the entry of Maximilian II as King of the Romans in 1563". In Mulryne, J.R.; De Jonge, Krista; Martens, Pieter; Morris, R.L.M. Architectures of Festival in Early Modern Europe: Fashioning and Re-fashioning Urban and Courtly Space. Routledge. Wikimedia Commons has media related to Ferdinand I, Holy Roman Emperor. Anna of Austria was the daughter of Ferdinand I, Holy Roman Emperor and his wife Anna of Bohemia and Hungary. 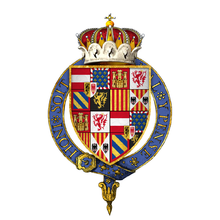 Anna was the third of fifteen children, annas paternal grandparents were Philip I of Castile and his wife Joanna of Castile. Her maternal grandparents were Vladislaus II of Bohemia and Hungary and his third wife Anne de Foix and she was engaged several times as a child, first to Prince Theodor of Bavaria, to Charles dOrléans, but both died young. Anna finally married on July 4,1546 in Regensburg at the age of 17, Duke Albert V, Duke of Bavaria, the brother of her first fiancé. This marriage was part of a web of alliances in which her uncle Charles V, the wedding gift was 50,000 Guilder. 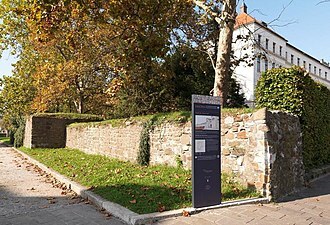 The couple lived at the Trausnitz Castle in Landshut, until Albert became Duke and Albert had great influence on the spiritual life in the Duchy, and enhanced the reputation of Munchen as a city of art, by founding several museums and the Bavarian State Library. Anna and Albert were patrons to the painter Hans Müelich, in 1552, Albert commissioned an inventory of the jewelry in the couples possession. Archduke was the title borne from 1358 by the Habsburg rulers of the Archduchy of Austria, and by all senior members of that dynasty. 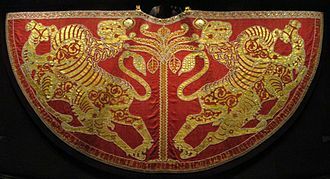 It denotes a rank within the former Holy Roman Empire, which was below that of Emperor and King and above that of a Grand Duke, the territory ruled by an Archduke or Archduchess was called an Archduchy. All remaining Archduchies ceased to exist in 1918, in the Carolingian Empire, the title Archduke was awarded not as rank of nobility, but as a unique honorary title to the Duke of Lotharingia. Lotharingia was eventually absorbed by East Francia, becoming part of the Holy Roman Empire rather than a fully independent Kingdom, the extended fragmentation of both territories created two succeeding Duchies in the Low Countries and Geldre. Both claimed archducal status but were never recognised as such by the Holy Roman Emperor. Archduke of Austria, the archducal title to re-emerge, was invented in the Privilegium Maius in the 14th century by Duke Rudolf IV of Austria. Holy Roman Emperor Charles IV refused to recognise the title, as did all the ruling dynasties of the member countries of the Empire. But Duke Ernest the Iron and his descendants assumed the title of Archduke. Emperor Frederick III himself simply used the title Duke of Austria, never Archduke, the title was first granted to Fredericks younger brother, Albert VI of Austria, who used it at least from 1458. In 1477, Frederick III granted the title of Archduke to his first cousin, Sigismund of Austria, the title appears first in documents issued under the joint rule of Maximilian and his son Philip in the Low Countries. Archduke was initially borne by those dynasts who ruled a Habsburg territory—i. e, only by males and their consorts, appanages being commonly distributed to cadets. But these junior archdukes did not thereby become sovereign hereditary rulers, occasionally a territory might be combined with a separate gubernatorial mandate ruled by an archducal cadet. From the 16th century onward and its form, Archduchess. Maximilian I was King of the Romans from 1486 and Holy Roman Emperor from 1493 until his death, though he was never crowned by the Pope, as the journey to Rome was always too risky. He was the son of Frederick III, Holy Roman Emperor and he ruled jointly with his father for the last ten years of his fathers reign, from c.1483 to 1493. 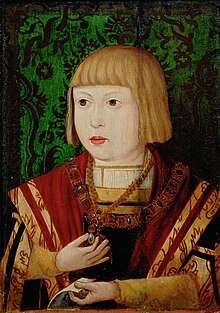 Charles father Philip died in 1506, so Charles succeeded Maximilian as Holy Roman Emperor in 1519, Maximilian was born at Wiener Neustadt on 22 March 1459. His father, Frederick III, Holy Roman Emperor, named him for an obscure saint whom Frederick believed had once warned him of imminent peril in a dream, in his infancy, he and his parents were besieged in Vienna by Albert of Austria. One source relates that, during the sieges bleakest days, the prince would wander about the castle garrison, begging the servants. The young prince was an excellent hunter, his hobby was the hunting for birds as a horse archer. 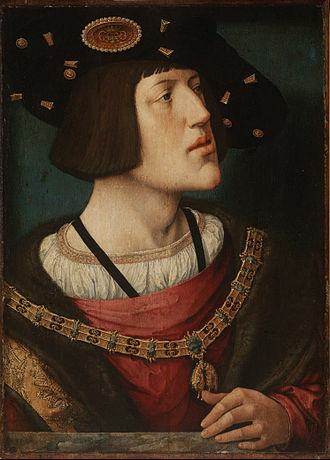 The reigning duke of Burgundy, Charles the Bold, was the political opponent of Maximilians father Frederick III. 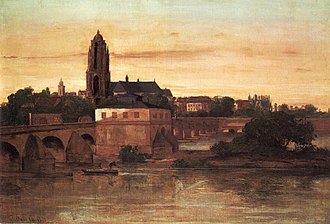 After the Siege of Neuss, he was successful, the wedding between Maximilian and Mary took place on the evening of 16 August 1477. Maximilians wife had inherited the large Burgundian domains in France and the Low Countries upon her fathers death in the Battle of Nancy on 5 January 1477. Already before his coronation as the King of the Romans in 1486, Maximilian decided to secure this distant and extensive Burgundian inheritance to his family, the House of Habsburg, at all costs. Maximilian undertook the defence of his wifes dominions from an attack by Louis XI and defeated the French forces at Guinegate, the wedding contract between Maximilian and Mary stipulated that only the children of bride and groom had a right to inherit from each, not the surviving parent. Mary tried to bypass this rule with a promise to transfer territories as a gift in case of her death, but her plans were confounded. After Marys death in an accident on 27 March 1482 near the Wijnendale Castle, Maximilians aim was now to secure the inheritance to one of his and Marys children. View of the Cathedral and Prague Castle, above the river Vltava. Joachimsthaler of the Kingdom of Bohemia (1525) was the first thaler (dollar). This is its reverse side, with the Bohemian Lion and the name of Louis / Ludovicus.